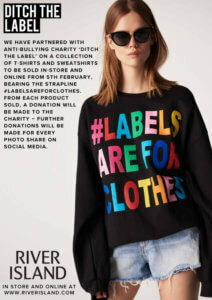 PHA client and anti-bullying charity Ditch the Label have once again teamed up with River Island for a stylish collaboration, this time celebrating Pride. The exclusive T-shirt range will help to raise funds for the charity which was started by CEO Liam Hackett after he was bullied for being gay. Grab yours while you can! Bravo to Barclays who have returned as the main sponsor of Pride for the fifth year running. As well as supporting Pride financially, the bank also provides meeting spaces and support for community groups and their teams volunteer on parade day to assist with banking all the donations taken. For a full list of Pride events supported by Barclays look here. Web giant Google is also getting in on the game. 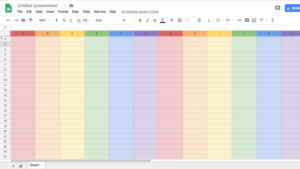 Its attempt to make spreadsheets fun truly paid off, after it released a secret hack to turn its Google Sheets rainbow themed if you type P R I D E into the top of 5 consecutive columns. Finally, Pride sponsors the AA have brought a bit of experiential activity to their support. To celebrate Pride, they have re-launched the #SpotThePrideVan competition. The campaign has prompted Twitter users to question whether the service is dumping its iconic yellow vans – but in fact, if you spot a rainbow van and share a pic with the AA, you could be in for a chance to win a prize!